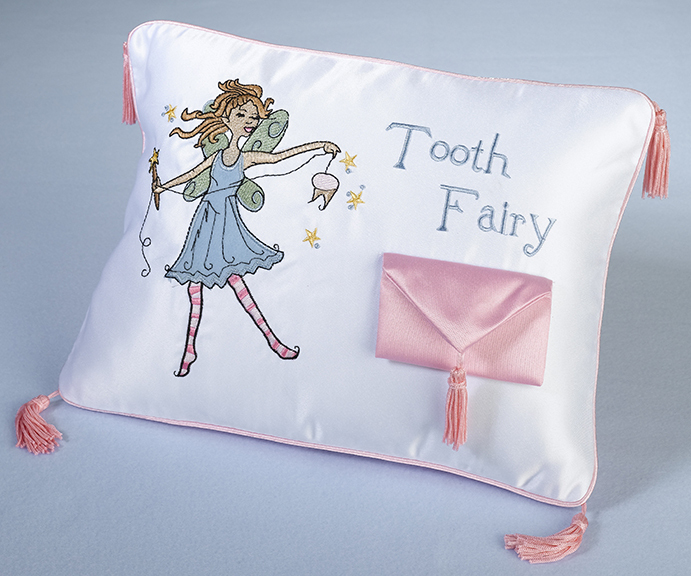 Measuring 11 x 8 inches, this embroidered tooth fairy pillow includes a special pouch for a child to place their baby tooth for the tooth fairy. Pillow is made of polyester satin. The front has embroidered artwork along with the pink satin pouch. The back and edges of the pillow are solid pink satin.